The avocado is a fruiting tree that originated in Mexico, growing in tropical and subtropical regions. Three main varieties of avocado trees exist: West Indian, Guatemalan and Mexican, as well as a wide range of hybrids among the three. Prized for their nutrient-rich fruits that are high in monosaturates and healthy oils, the avocado tree is easy to identify by its fruits, flowers, leaves and overall growth habit. If you’re attempting to identify an avocado tree when it isn’t fruiting or flowering, or when it’s dropped its leaves, you can reference a fruit tree field guidebook for help. Identify avocado trees by studying their fruits. 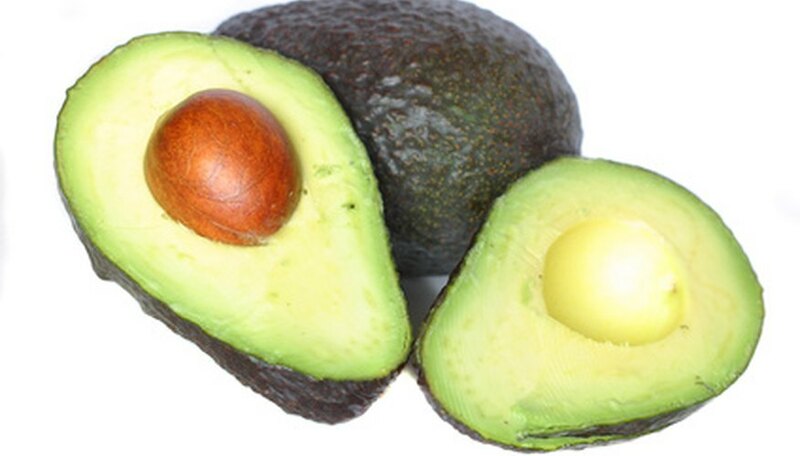 Avocado fruits are glossy green or black when ripe and oval or pear-shaped. The avocados can be anywhere from 6 ounces to 2 pounds at maturity, depending on the avocado tree variety. The inner flesh is yellowish-green around the center large seed, becoming greener toward the skin. Look for a densely foliaged, semi-evergreen tree that’s fast-growing and tall--up to 80 feet in height at maturity--to identify the avocado tree. Usually a broad-branching tree, avocados are found growing in regions where winter temperatures stay above freezing. Study the flowers to identify avocado trees, which bloom from January through March. The avocado flowers are small and yellowish-green. Identify the avocado tree by looking at its leaves, which should be alternate and dark-green with slightly lighter-green veins. The avocado leaves are glossy and can stay on the tree for up to three years. The leaves of Mexican avocado trees have an anise-like odor when crushed. Distinguish between the different main avocado types by studying the fruits. West Indian avocados are huge, round and smooth, weighing up to 2 pounds, with glossy green skin, while Guatemalan avocados are medium-sized, pear-shaped with pebbled green skin that turns blackish-green as they ripen. Mexican avocados are the smallest, weighing up to 10 ounces, and have papery, thin skins that turn shiny green or black as they ripen. If the tree is bare of leaves, fruits and flowers, you still can identify it. 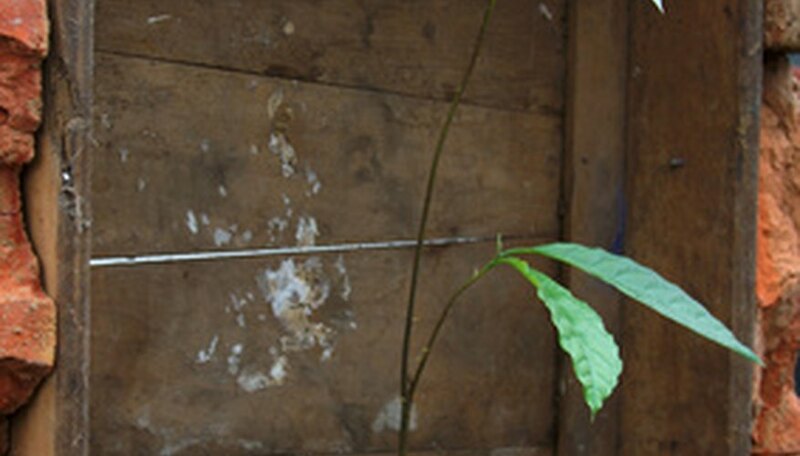 Determine whether the tree is an avocado by studying the ground around the tree. Because avocado leaves are rich in oils, they're slow to decompose, usually leaving tall mounds of fallen leaves beneath the avocado trees.